Chain up amazing stunts ! With a simple click, chose the stunt most suited to your desires and environment. Try out the looping in an open area for a stunning effect ! Perfect for playing with your environment, the half loop allows you to avoid obstacles in tight spaces. As for the barrel roll, it definitly adds style to your high-speed flight ! Be the fastest among your friends. 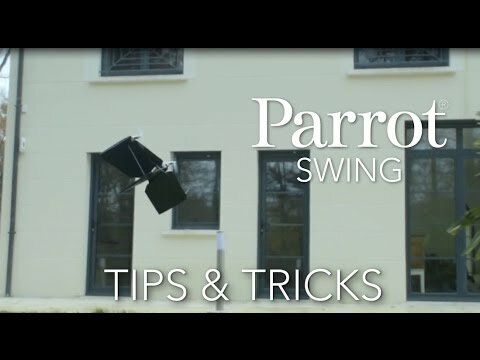 To gain speed, tilt your Parrot Swing! The more you lean, the faster you go. You can also activate Boost Mode to be even harder to catch. Go for it: slalom and avoid obstacles to be the first to get there. 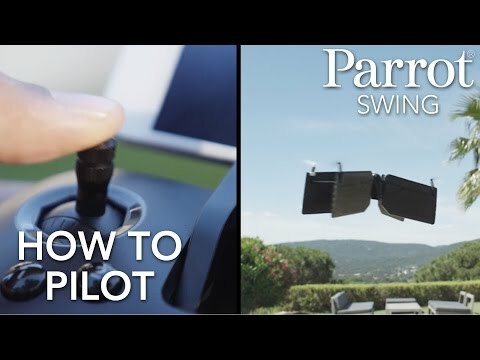 The Parrot Flypad gives you the most precise control of your Parrot Swing drone and allows you to pilot it over a distance of up to 60 metres. 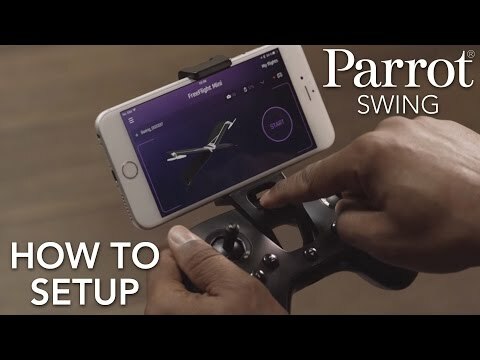 With its mount that adjusts to your smartphone, check the remaining battery power and flight time on your screen or change the control settings.